April 2015 - Hello! Welcome to my blog! Manila –The country’s largest foreign bank celebrates another milestone as it marks its 25th year of providing world class credit card products and services to the Filipino consumer. It was in 1990 when Citi Philippines introduced the Citibank MasterCard, marking the global bank’s entry into the Philippine credit card market. Back then, Citi was also credited for changing the payment landscape, when it lowered the minimum income requirement to own a credit card, and turned what was once a financial tool only for the elite, into a payment product that empowered middle income Filipino cardholders. 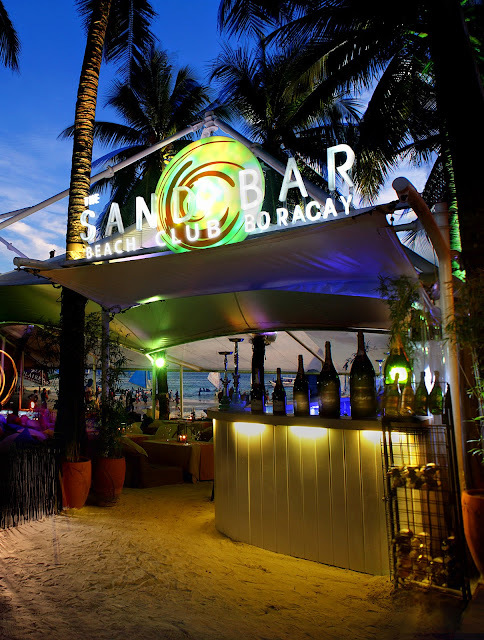 SandBar Beach Club is now the hottest daylight destination in Boracay! The sun is at its peak, the sea is glistening and reflecting the bright blue skies, everyone looks fabulous in their bikinis and boardshorts – Boracay’s energy and marvelous beauty are best captured during daytime indeed! However, almost every place in this island gets a little crowded during the summer season. Finally, there is a place where you can relax, hang out or even strut your bikini body in style, as Station 1 welcomes the hottest daylight destination for all ages, the SandBar Beach Club Boracay. Set in the powdery white sand of Boracay is this exclusive chill-out place with 18 cozy beach beds for your ultimate comfort. While you can also relax in your hotel, chances are you’ll miss the fantastic outdoor sceneries of the paradise and all the fun that it has to offer. At SandBar Beach Club Boracay, comfort doesn’t need to be boring. It combines good food, refreshing drinks, exciting water sports and entertainment into one fantastic place. Join the Saturday Shindig, a daytime beach party every Saturday from 11:00am to 4:00pm. For only PhP3,000 per person, you get unlimited Banana Boat and Fly Fish rides, sumptuous lunch and snacks, and bottomless specialty drinks. Every Sunday, the club transforms into an ideal place for every family with its theme the Sunday Magic, a children's beach party from 11:00am to 4pm. 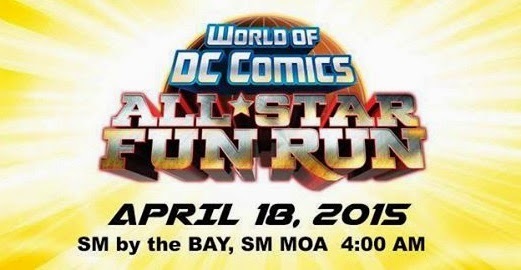 For PhP3,000 per person, you get unlimited Banana Boat and Fly Fish rides, sumptuous lunch and snacks, bottomless specialty drinks plus a special magic show for the young and the young-at-heart. Experience priceless daylight fun in the hottest summer destination of the country, and head to SandBar Beach Club Boracay for a weekend of fun, adventure, relaxation, and good food with family and friends. U.S. Govt., Coca-Cola and PBSP Partners to Improve Water Access. (L-R) USAID Be Secure Senior Technical Adviser for Water Dondi Alikpala, Coca-Cola Foundation Philippines President Cecile Alcantara, USAID/Philippines Mission Director Gloria D. Steele, Coca-Cola Philippines President Diego Granizo, PBSP Board Member Roberto Umali, USAID Be Secure Chief of Party Mona Grieser, and USAID/Philippines Office of Energy, Environment and Climate Change Natural Resources Officer Dani Newcomb at the MOU signing. April 26 2015, Taguig– On April 23, the U.S. Government, Coca-Cola Philippines through the Coca-Cola Foundation Philippines, Inc. (CCFPI), and the Philippine Business for Social Progress (PBSP) have entered into a partnership that will enable more Filipinos to access safe drinking water. Ms. Gloria D. Steele, Mission Director of U.S. Embassy Manila’s United States Agency for International Development (USAID), Mr. Diego Granizo, President and General Manager of Coca-Cola Philippines, and Mr. Roberto Umali, Member of the PBSP Board of Trustees signed the memorandum of understanding (MOU) to jointly work towards groundwater replenishment, freshwater source expansion, and community water access projects in areas covered by the USAID’s Water Security for Resilient Economic Growth (Be Secure) Project, namely Leyte, Iloilo, Maguindanao, Misamis Oriental and Basilan provinces. The MOU addresses the issues of water security and sustainability of water supply and will employ technologies that are simple, low-cost and low-maintenance. These technologies include groundwater infiltration wells, pavers for groundwater recharge, rainwater harvesting and storage, flood water diversion and storage, watershed protection and rehabilitation and others; and will be implemented from 2015-2017. A 2014 Millennium Development Goals (MDG) progress report shows that although the country surpassed MDG targets on safe drinking water, approximately 15.7 million Filipinos still lack access. In addition, water service providers struggle to keep pace with increased demand for water fueled by population growth and industry. Both ground and surface water sources also face issues related to environmental degradation, contamination from untreated industrial and domestic waste water, and threat from climate change. A study conducted by the Southeast Asian Regional Center for Graduate Study and Research in Agriculture revealed that groundwater, a common source of water in cities, municipalities and rural areas in the Philippines may be depleted by the year 2050. Demonstrating a partnership that is good for the planet, the U.S. Government, through USAID, continues to work with the Philippine Government to improve access to water. Under the Be Secure Project, USAID promotes good governance and builds capacity for long-term water security, improved access to water and wastewater treatment services, and build more resilient communities. The Coca-Cola Company understands that water is vital to communities, to the economy, to the world and to the business. In 2007, The Coca-Cola Company together with its bottling partners set an aspirational goal to safely return to nature and to communities an amount of water equivalent to what they use in their beverages and production by 2020. “Coca-Cola believes in the importance of a reliable supply of freshwater for resilient communities. Through The Coca-Cola Foundation, the Company wishes to expand the Agos Program through simple, low-cost, low-maintenance and sustainable technologies. As a beverage company, water stewardship is a primary focus of our sustainability efforts. This is why we continue to work closely with Coca-Cola FEMSA Philippines, our bottling partner, the Coca-Cola Foundation, and all our other partners to meet our water stewardship goals, ” shared Diego Granizo, President and General Manager of Coca-Cola Philippines. This partnership also highlights the establishment of the Water Alliance in the Philippines, an initiative that builds on the collective effort by the private sector in the Philippines to address water issues. It is a CEO-led coalition of businesses that are committed to creating solutions to impending water problems and water security in the Philippines. 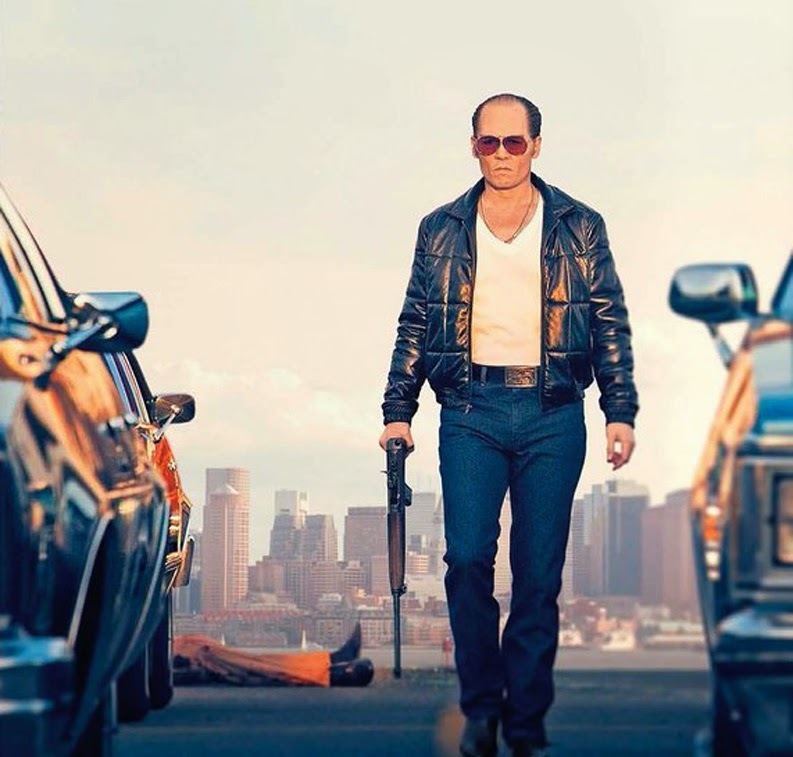 The first-look video titled “Just Sayin’” from the crime thriller “Black Mass” starring Johnny Depp has just been released by Warner Bros. and may be viewed below. Make summer more delightful with Villa del Conte Ovicinis. 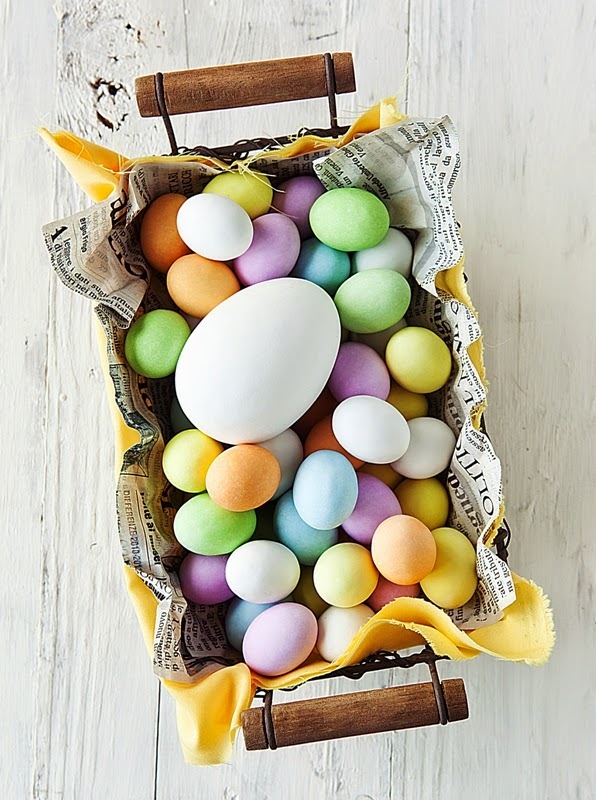 Enjoy summer with a pack of Villa del Conte’s pastel-colored dark chocolate candies or Ovicinis. Each treat is oozing with luscious hazelnut cream for just the right amount of sweetness that you need. Visit Villa del Conte stores at Greenbelt 5, Century City Mall, Shangri-la Mall, Resorts World, Alabang Town Center, and Robinson’s Magnolia. For bulk orders, please contact 893-2575 or 621-6101. Go to http://www.villadelcontecioccolato.com/ to know more about Villa del Conte, or follow them on Facebook: https://www.facebook.com/VillaDelContePh, Instagram: http://instagram.com/villadelconte and Twitter: https://twitter.com/VilladelConte. Another epic party happens this weekend at the hippest dance club in the metro as UK-based record label, events and music brand Hed Kandi invades the newly opened House Manila at the ground floor Resorts World Manila’s (RWM) Remington Hotel for the ultimate summer event of the year. Set to hit the decks of House Manila on April 24,2015 Friday is UK based Dj Alice Rose. Expect a night of endless rave and non-stop partying as she plays famous tracks and anthems from the different party capitals of the world. Catch Hed Kandi featuring Dj Alice Rose at House Manila. House Manila is located at the basement of Remington Hotel, RWM. For booking and reservations call contact us at +63916 6387666 or email us atreservation@housemanila.com. 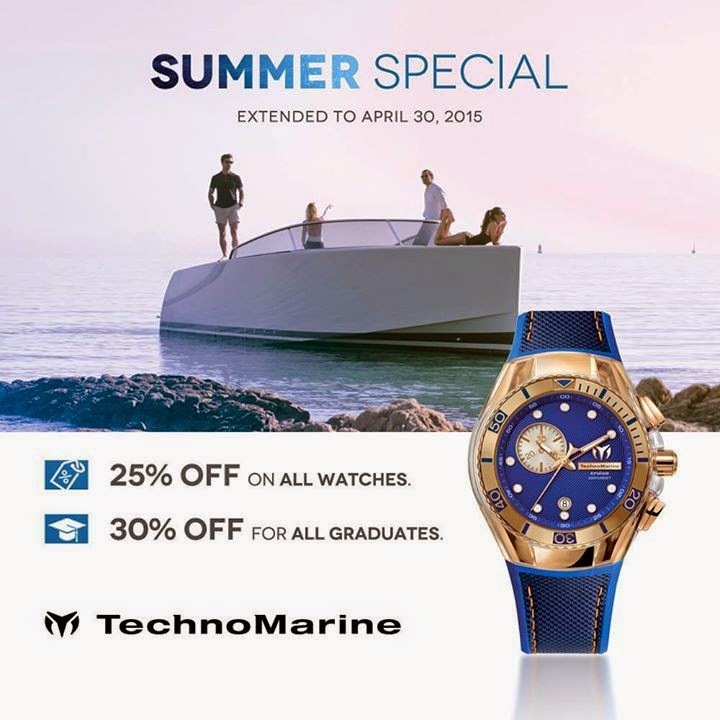 Visit www.rwmanila.com or call (632) 908-88833. Kathryn Bernardo Named as OraCare's Brand Ambassador. Being in show business since she was just a kid is a tough challenge, but what makes Kathryn Bernardo shine bright in a very competitive industry are the good things that she surrounds herself with. Considered as one of the today’s most in-demand television and movie star, “Teen Queen” Kathryn says that her love for the craft allows her to deliver outstanding performances. She also adds that if you put your focus on to something, nothing is impossible. Levi’s launches COOLMAX —the go-to jeans this summer! Summer wear is all about cotton sundresses and nifty shorts-and-tank-top pairings—perfect for the season’s scorching heat. But don’t put your denims in storage just yet. This summer, Levi’s is launching COOLMAX, an innovative collection specially designed to help you withstand sweltering hot weather, all year-round. Levi’s cutting-edge COOLMAX collection is part of the brand’s “Keep Cool” campaign, which is out to prove that denim is never too hot nor too heavy to wear even during the warmer months. 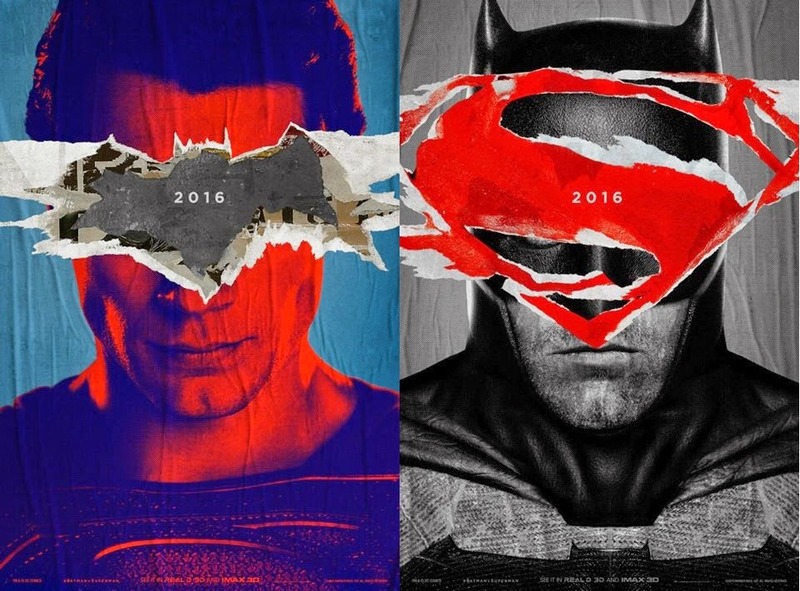 BATMAN v SUPERMAN: DAWN OF JUSTICE - in cinemas March, 2016! Check out the trailer below. While we are catching our breath from the Star Wars second Trailer and the Superman V Batman trailer, here's another one! Finally, we can see Reed, Sue, Ben and Johnny in their "Fantastic" mode. Doctor Doom is also there. From watching the trailer, we can say that this one sure is a darker take on the Fantastic Four story. Check it out below and let me know what you think. More than a week back, I received an invite from the Jedi Council and who could refuse that right?? 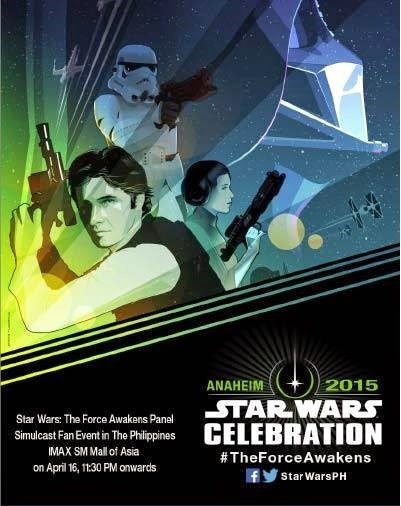 The invite was for the Star Wars Celebration which is happening at Anaheim Convention Center. It is actually a global event happening in different parts of the world, all celebrating the pop culture phenomenon that is Star Wars. Also, this is the day that people are waiting for updates and news on the upcoming Star Wars Episode 7, The Force Awakens movie. The Star Wars: The Force Awakens panel simulcast fan event in the Philippines happened at IMAX in SM Mall of Asia last April 16, around 11:30 PM. Now here are the 7 Awesome Things that happened during the Star Wars Fan event in IMAX Mall of Asia. Slappy Cakes, the popular international all-day breakfast joint originating from Portland, Oregon, recently presented its new offerings meant to provide its patrons with more delicious choices consistent to the restaurant’s American roots plus a few homey dishes and a twist on an old favorite. “These additions to our menu were carefully selected to give our customers a more diverse selection, which still ring true to Slappy Cakes’ origins. We offer more than just pancakes and we want our customers to try something new every time they come back to visit us,” said Karen Caballero, General Manager of Slappy Cakes. Based on customer feedback, Slappy Cakes now offers the Pancake Sampler which includes smaller servings of chocolate, peanut butter and red velvet flavored pancake batters allowing diners to taste, cook,and play with more batter flavors in just one order. Slappy Cakes is alsoserving a line-up of all-American burgers which include the Classic Burger, the Cheese Burger and the Slappy Sliders, a combination of three small but tasty hamburgers.To make it a full American meal, the burgers are best paired withSlappy Cakes’ new Strawberry milkshake.Those craving other fulfilling dishes are encouraged to try the Maple Glazed Pork Chop served with red onion and rice, or Havana Rice which is ground beef, sunny side egg and plantain on rice. For those who prefer something light, Slappy Cakes is offering the Potato Wedge Salad which has romaine lettuce, potato wedges in mayonnaise dressing topped with bacon bits, or the Fish Bites, which are deep fried white fish bites with tartar sauce served with potato wedges. As a true breakfast restaurant, Slappy Cakes also gave a twist to the normal scrambled egg with their Cheezy Chorizo Scramble. This dish contains chorizo, onion, cheddar cheese, and eggs topped with cilantro pesto served with toast. One new surefire favorite is The Elvis, with its peanut butter, bacon and banana with honey in sourdough bread. The King’s favorite is definitely a must try. And to top this all off, Slappy Cakes isintroducing the Devil’s Cookies and Cream for dessert – red velvet coated, deep fried cookies and cream sandwich a la mode goodness. 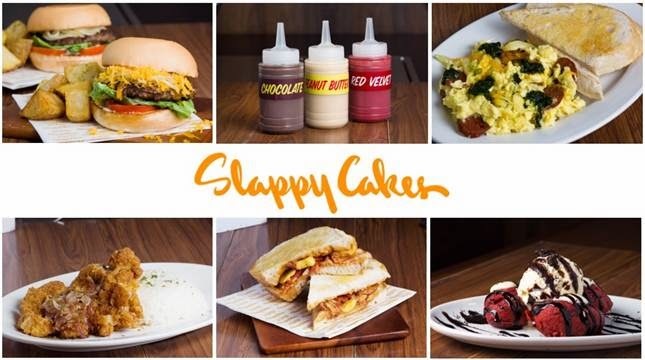 Slappy Cakes has branches in Eastwood Mall, SM Aura Premier, SM Jazz Mall and SM North EdsaThe Block. Greetings from Westeros! Starting today April 19 to 28, the Iron Throne which is one of the famous Game of Throne structure will reside at Glorietta 1 National Book Store. The 8ft tall Iron Throne is a spectacular sight to behold. Handcrafted from resin in the Philippines, with each sword individually moulded and put together, the magnificent structure took HBO Asia more than two months to produce. First unveiled at Bonifacio Global City, HBO Asia announced on April 10 through Twitter that the Iron Throne would be taken around Manila for more fans to see and experience. HBO Asia’s Head of Marketing, Creative and Content, Magdalene Ew, said "The Iron Throne has been such a wildly popular feature in Manila that we were inspired to seek new opportunities for even more GAME OF THRONES fans across the city to experience it live. What better place than at National Book Store's flagship store at Glorietta 1." 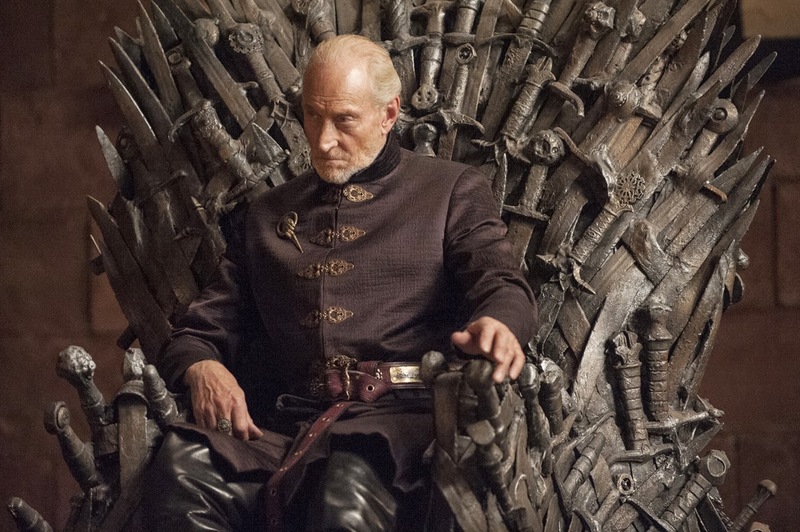 New locations of the Iron Throne will be broadcast on Twitter @HBOAsia. All are encouraged to post their experiences on the Iron Throne on social media and join the conversation using hashtags #IronThronePH and #HBOAsiaGOTS5. Based on the bestselling fantasy book series by George R.R. Martin, HBO's GAME OF THRONES series tells an epic story of treachery and nobility set on the continent of Westeros, where summers and winters can last years, and only the lust for power is eternal. The new season of GAME OF THRONES, currently on HBO, airs same time as the U.S. - Mondays at 9am, with a same day primetime encore at 9pm. 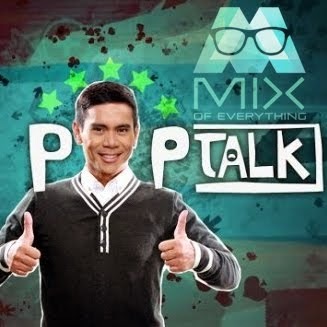 Viewers can also watch the series on HBO GO anytime anywhere and across multiple mobile devices. Celebrate Summer with these new Starbucks Card designs! 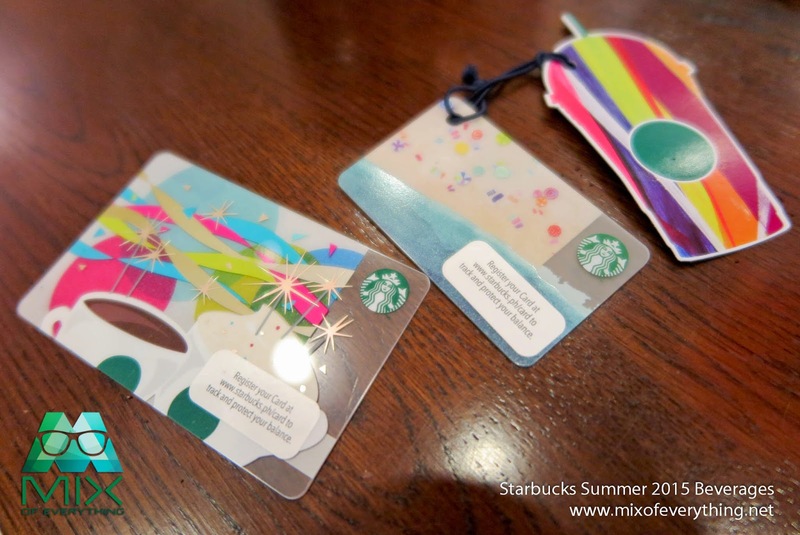 Check out the new cards launched by Starbucks Philippines in celebration of an amazing summer. 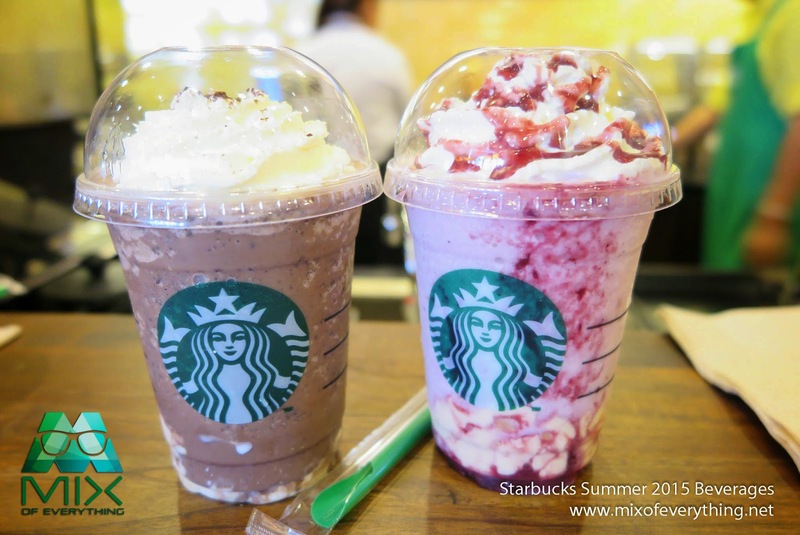 Starbucks has just revealed their Summer 2015 Beverages and people are excited to start their summer with the new refreshing treats! The beverages will start be available starting April 21, 2015. 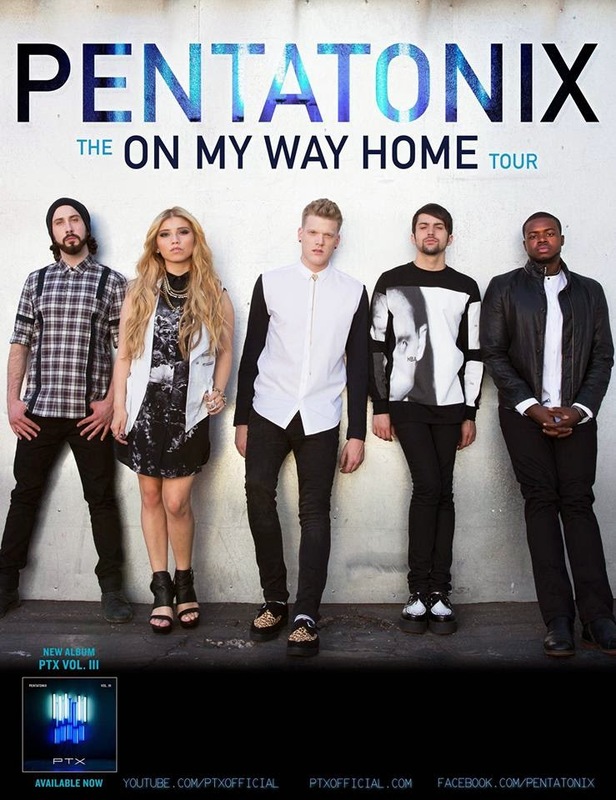 2015 Global Concert Tour Coming to Manila, Philippines on June 7, 2015 at the Mall of Asia Arena for 1 night only performance! Hot on the heels of a remarkable year that included performing the smash hit “Let It Go” from Disney’s Frozen at the 86th annual Academy Awards, a triumphant return to Broadway in the musical If/Then, a Best Actress Tony Award nomination and the release of this season’s must-have Christmas album Holiday Wishes, superstar Idina Menzel announced today that she will head to Manila, Philippines as part of her global tour in 2015. Called “the Streisand of her generation” by The Denver Post, Menzel has captivated audiences at sold-out concerts around the world. Throughout the tour, Menzel will lead audiences through a special journey of classic pop, musical theater favorites and her own personal catalogue. The shows are set to weave together Menzel’s irresistible charm, wit and unparalleled vocal prowess. In addition to gracing the 2014/2015 December/January cover of Redbook and Billboard in March 2014, Menzel is the first-ever to receive the Billboard Breakthrough Artist of the Year award. She was honored with the award at the annual Billboard Women in Music Awards in December of last year in New York City. Her first-ever Christmas album Holiday Wishes, released October 2014 on Warner Bros. Records, debuted at #1 on Billboard’s Holiday Albums chart and received rave reviews. Menzel, the voice of Elsa in Disney’s Frozen, made history as the first Tony Award winner to have a song in the Billboard Top 10 when the film’s Oscar-winning and multi-platinum song “Let it Go” soared through the charts. Frozen has since gone on to become the highest-grossing animated movie of all time. Tony Award-winning icon Idina Menzel has a diverse career that traverses stage, film, television and music. Menzel’s voice can be heard as Elsa in Disney’s global box office smash Frozen, in which she sings the film’s Oscar-winning song “Let It Go.” After Menzel’s performance of the multi-platinum song at the 86th annual Academy Awards, she made history as the first person with both a Billboard Top 10 hit and a Tony Award for acting. Menzel earned her first Tony nomination as Maureen in the Pulitzer Prize winner Rent, and won the award for her performance as Elphaba in Wicked. Other notable roles include Rachel Berry’s mother, Shelby Corcoran, on the hit television show Glee as well as starring opposite Susan Sarandon and Amy Adams in Disney’s Enchanted. Menzel starred in her own PBS special, Barefoot at the Symphony, with an accompanying live album of the same name, and her highly successful international concert tour recently included a sold-out performance at Radio City Music Hall. In addition to cast albums, Menzel’s prolific recording career includes the solo albums I Stand, Here and Still I Can’t Be Still. Her first-ever Christmas album Holiday Wishes, released October 2014 on Warner Bros. Records, debuted at #1 on Billboard’s Holiday Albums chart and is already receiving rave reviews. Menzel recently starred on Broadway as Elizabeth in the original production If/Then, for which she earned critical acclaim and her third Tony nomination, and performed “Always Starting Over” from the musical at last year’s Tony Awards. For more information, please visitwww.idinamenzel.com. 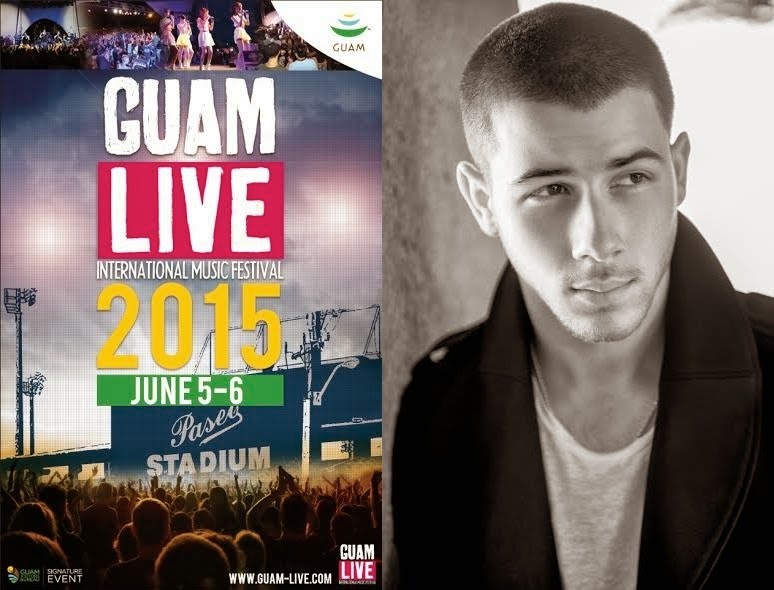 The Guam Visitors Bureau (GVB) is pleased to announce multi-talented artist Nick Jonas will be a co-headliner for the 2nd Annual Guam Live International Music Festival slated for June 5-6, 2015 at Paseo Stadium in Hagatña, Guam. Nick Jonas rose to fame as part of the Grammy nominated Jonas Brothers. The 22 year old former Disney star is stepping out on his own with his recently released self-titled album, NICK JONAS, with his singles, “Chains” and “Jealous” topping the music charts and airwaves. Jonas also recently played an MMA prize fighter for the television show Kingdom. For immediate updates, follow Guam Live at facebook.com/GuamLiveIMF. To know more about the latest events and news in Guam, you may also visit the Guam Visitors Bureau’s Facebook page at: https://www.facebook.com/visitguamusa. The Guam Visitors Bureau (GVB) is pleased to announce singer, songwriter and performer Tinashe is confirmed to perform for the 2nd Annual Guam Live International Music Festival slated for June 5-6, 2015 at Paseo Stadium in Hagatña. The stunning 21-year old rising star brings a distinct and dynamic vision of R&B punctuated by hip-hop attitude, pop flavor, rock swagger and electronica spark. This unique blend of genres can be traced back to her childhood in Los Angeles and her father’s Shona Heritage from Zimbabwe. Tinashe released her debut studio album, Aquarius, with her recent single, “2 On” featuring ScHoolboy Q and produced DJ Mustard, further solidifying her presence. 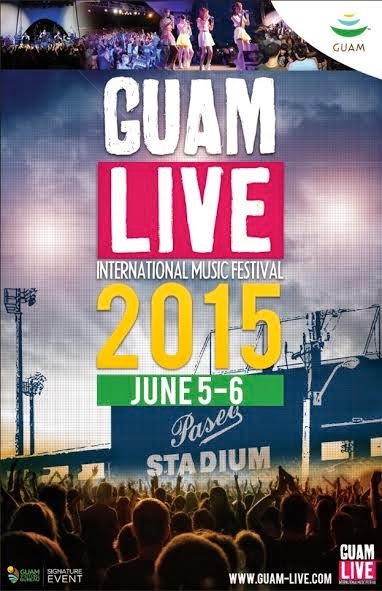 Additional performers for the 2015 Guam Live International Music Festival are forthcoming. Last year, top-rated acts from all over the world performed at Paseo Stadium, such as Sublime with Rome, Matisyahu, Steel Pulse, and Guam’s own Pia Mia. Talent from Guam’s major visitor source markets also took the Guam Live stage including Japan’s Home Made Kazoku and Izah Blue, Korea’s Brown Eyed Girls and NU’EST, and Taiwan’s Popu Lady. 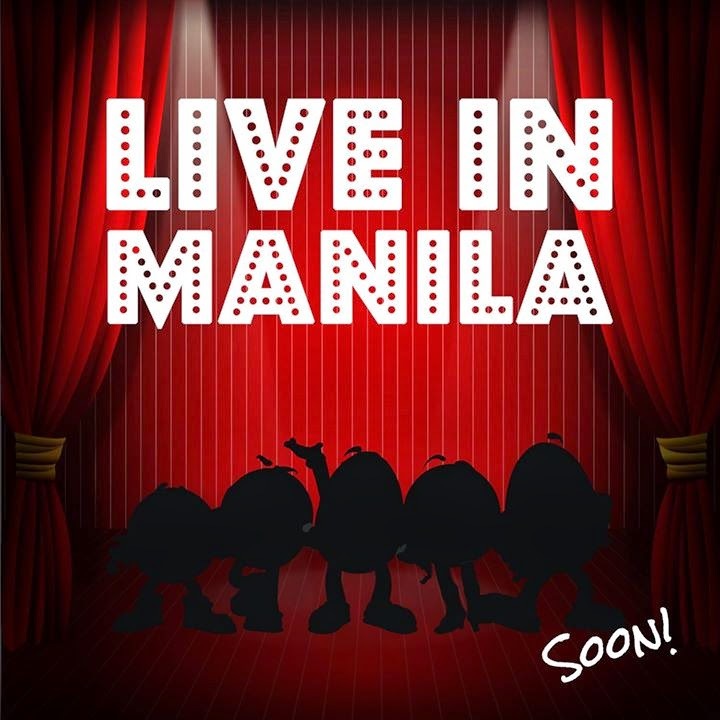 A bunch of wacky characters will be coming to Manila soon to spread irresistible fun! The celebrity group is composed of a cynical and a sardonic leader, a happy go lucky and gullible guy, a fitness addict, a seductive lady who finds a way to get what she wants, and a slightly neurotic character who always runs away from people! 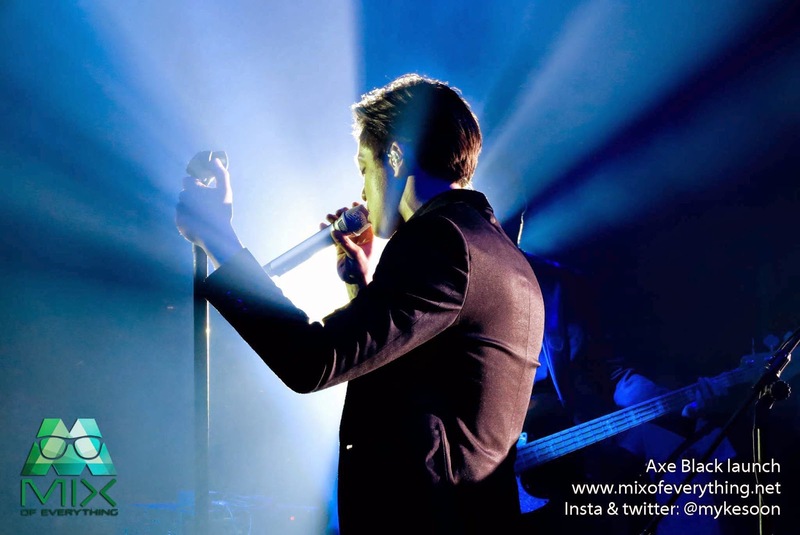 Bamboo named as the Axe Black Philippines endorser. Axe has been known to release amazing tv commercials on their fragrances. So when I got the invite, I was excited to know about their newest scent. The new AXE Black was launched last night at the Shooting Gallery Studios in Makati which was turned into a live gallery with stage for music performances and some areas with bar concepts. 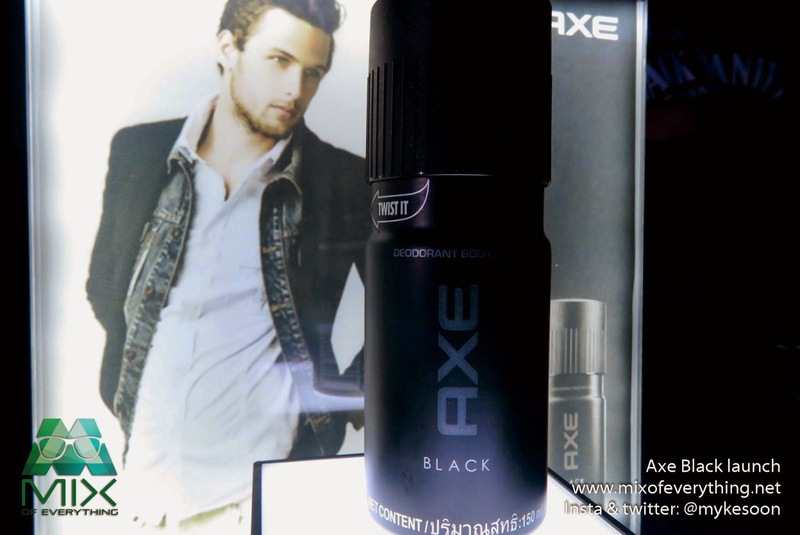 The AXE Black has a new approach on the new fragrance, it is sleek, sophisticated and has a more refined and lighter fragrance especially crafted for guys who understands the #LessEffortMoreStyle saying. The place was packed and was smelling really good! The scent is balanced and clean from top to bottom, the twist is the energetic and aquatic fresh hints with a woody body for a more masculine effect. Trusted by many Filipinos for more than 30 years now, 555 stands for value laden benefits namely Sarap and Sulit. 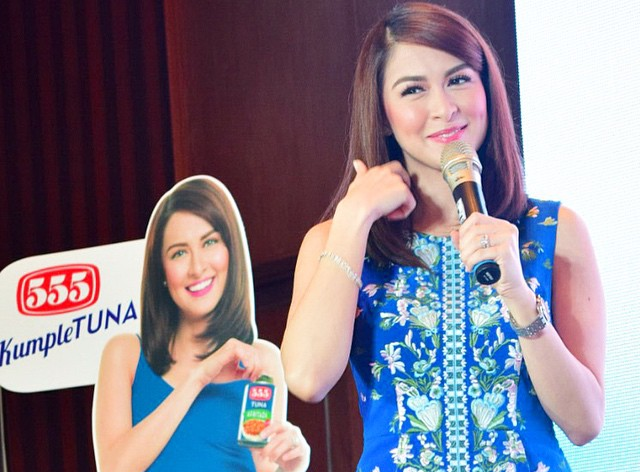 Earlier today, 555 Tuna just launched their newest endorser, Ms. Marian Rivera-Dantes for their #KumpleTUNA campaign highlighting their Afritada, Bicol Express and Adobo variant. Pacific Licensing Studio (PLS) unveils the World of DC Comics campaign, a year-long program consisting of events, merchandising and promotions for 2015. McRib is here! Oh yes! The well-loved and highly-anticipated product of McDonald's is now made available for the first time here in the Philippines! But only for a limited time only. Bite into the juicy rib-shaped pork patty dipped in sweet, tangy and smoky barbecue sauce, topped with pickle slices and slivered onions, sandwiched between two warm caramelized buns! Now that's a mouthful. 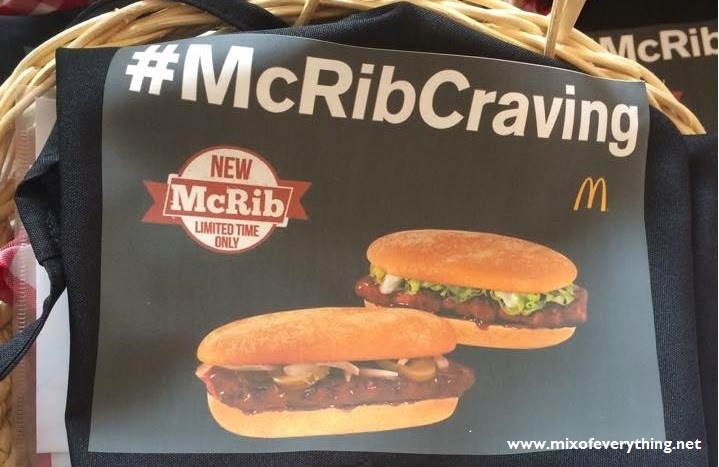 The New McRib is available at an a la carte price of only Php 99. For those who prefer that added texture of vegetables in their sandwich, customers can also enjoy the new McRib Deluxe made with the same tender pork patty, tasty barbecue sauce and soft buns, bu then they replace the pickles abd onions with fresh crisp lettuce and creamy mayonnaise for Php 199 a la carte. The Guam Micronesia Island Fair is the annual signature cultural event of the Guam Visitors Bureau, showcasing the vibrant cultures of Micronesia. This year, it is happening on May 15, 2015 - May 17, 2015. The Fair will be held at the Governor Joseph Flores Memorial Park at Ypao Beach, located on Pale San Vitores Road in Tumon, Guam. Admission to this event is free! 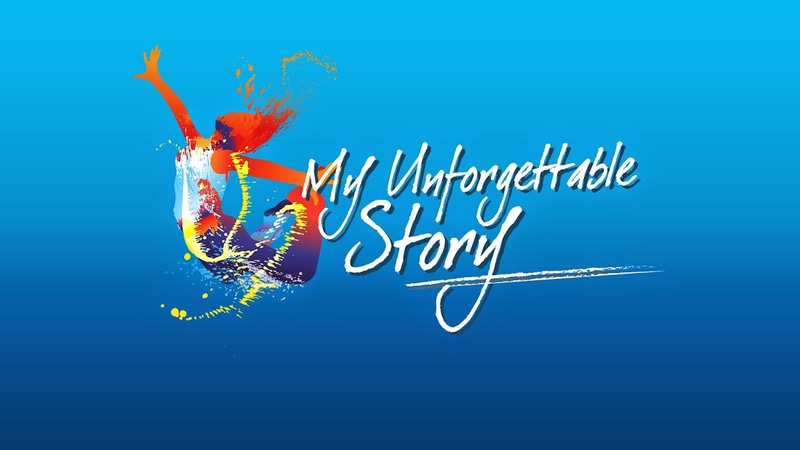 Experience the culture and arts of Micronesia in one exciting weekend on May 15,16 & 17. The place is known for the best diving in the world and just a few short hours from Asia are thousands of islands that span the west Pacific, known as Micronesia. Few acts had a bigger year in 2014 than pop’s new diva, Ariana Grande. With 2 albums to date; Yours Truly (2013) and My Everything (2014), Ariana has become a household name. Both albums topped the Billboard chart and went viral all over the world. Some of her most popular songs include “Problem”, “Break Free”, “Bang Bang”, “The Way”, “Baby I”, “Right There”, and “Love Me Harder”. She has collaborated with artists like Zedd, Mac Miller, Jessie J, Nicki Minaj, The Weeknd, Big Sean, and Iggy Azalea. Is this the face of the global phone brand’s next innovation? 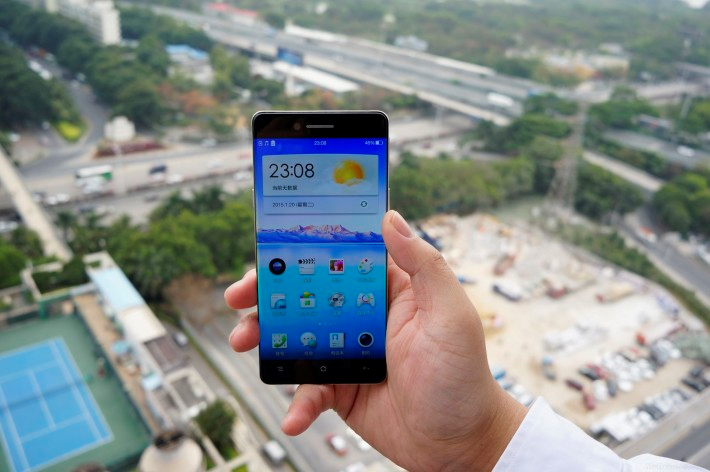 Manila – OPPO, the global smart phone brand, has always been an innovator with cutting-edge designs, such as the 4.85-mm thin R5 and the N3’s swivel camera. Recently, there have been hints of a new OPPO unit with a unique edgeless display. Following a duo of leaked images over a week ago, a video demonstrating the OPPO unit in action came out and it’s simply captivating. While the profile of the unit remains unknown (including price and availability), it’s clear in the video that the anonymous phone comes with an edge-to-edge display. Tattletale has always been unique among his fellow gosling siblings. 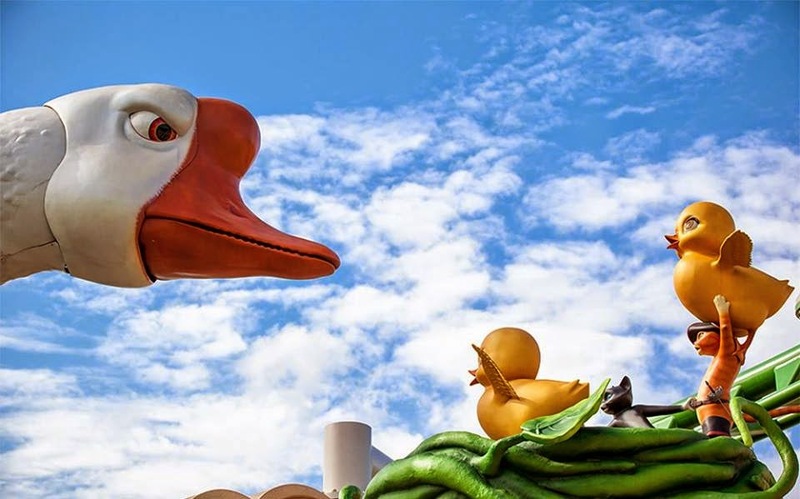 With a watchdog attitude and an extra loud honk, he stands out from the usual cooing and chirping in the nest. But his mother, also known as the Great Terror, loves him all the same and will stop at nothing to protect him and her other babies. The adventure onboard the world’s first suspended roller coaster themed after the Puss In Boots franchise begins in the ruins of the Giant’s Castle, located at the end of Romeo Drive. SINGAPORE, 8 APRIL 2015 – Hola Amigos! 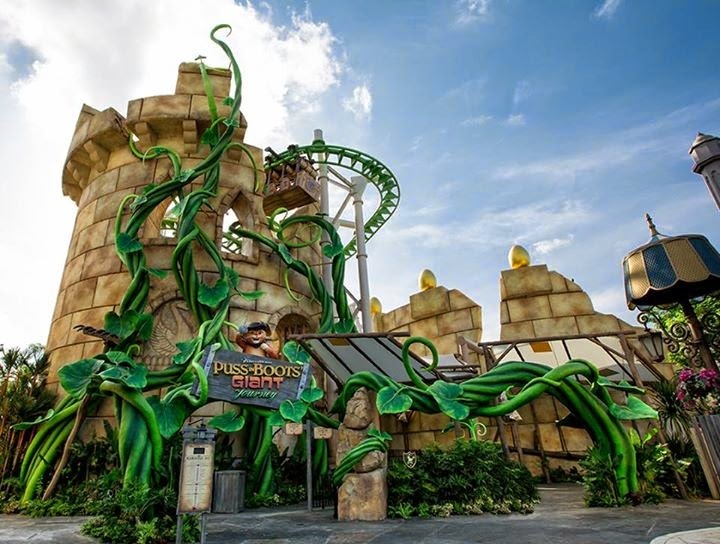 Universal Studios Singapore debuted today Puss In Boots’ Giant Journey, the world’s first suspended roller coaster themed after the franchise. Guests embarked on a larger-than-life adventure with everyone’s favourite feline, Puss In Boots. The launch of the new ride headlines the theme park’s fifth anniversary celebrations, with more exciting events coming up in the year. At the Far Far Away themed zone, the Giant’s Castle sits ruined, entwined within a giant beanstalk. The quest, nine lives in the making, begins here as Puss In Boots and Kitty Softpaws go in search of the precious golden eggs in a bid to save San Ricardo’s Orphanage, which has fallen on hard times. Guests will join in the legendary exploits of Puss In Boots as they take off on an anti-gravity swashbuckling flight. 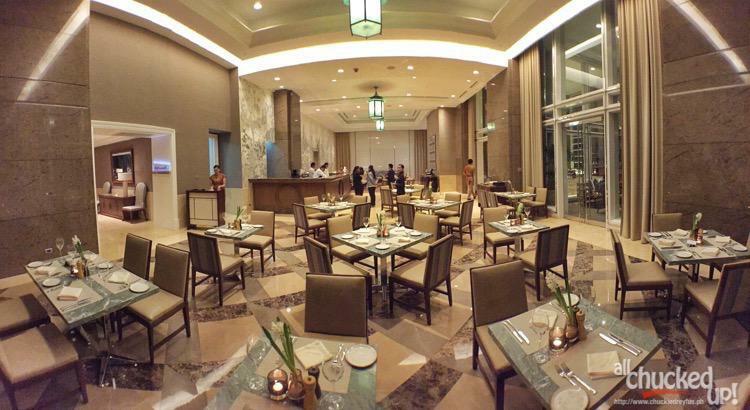 Who would have thought that there would be this beautiful Mediterranean restaurant inside the luxurious Discovery Primea. The all-day dining restaurant boasts their wide selection of bold, light and summery flavors from Spain, Italy, Franc, Greece, Turkey and Morocco. 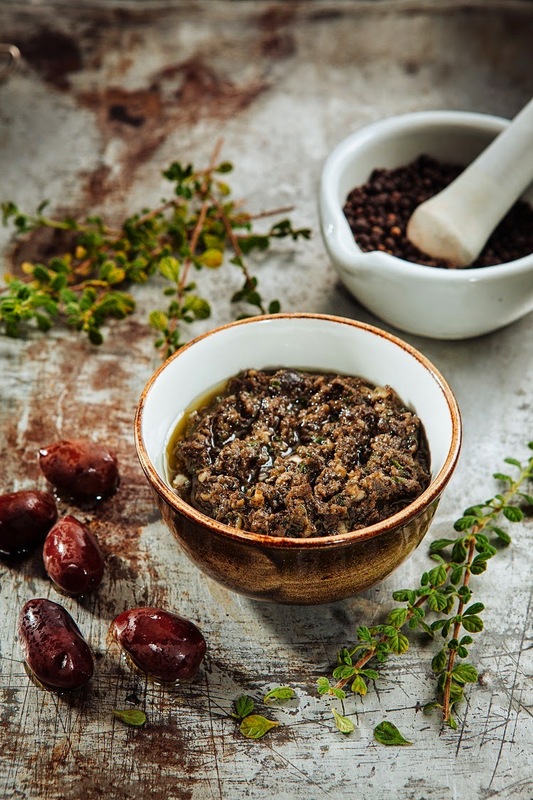 The restaurant is named after a traditional Provencal condiment of finely-chopped or pureed olives, capers. anchovies and olive oil. The place is inspired by the 17th century Chinoiserie wave that was popular in Europe. It has a relaxing motif, water features and wall to wall art pieces inside the restaurant. Before anything else, you would be surprised if I tell you that Tapenade offers their dishes at a very reasonable price compared to others. The Filipino palate is becoming more sophisticated with the ever growing access to travel, information, and technology. This poses a challenge for food entrepreneurs to recruit and retain customers.With the demand and competition on the rise for chefs and business owners to operate successful commercial kitchens, Unilever Food Solutions– the food service arm of Unilever, maker of Knorr, Lady’s Choice, Best Foods and Lipton – dish out the top three trendsfor the year that they need to look out for. Filipino cuisines are anticipated to take the global spotlight side-by-side with the growing appreciation on international cuisines, and the preference for home-cooked meals as comfort food is growing in restaurants.With these, it can be said that the Filipino’s palate evolves as they seek new dining experiences from every cuisine and every meal. · Filipino Cuisine. Now presented in a modern and innovative way to appeal to a larger market, more and more people –both domestic and international travelers alike – are expected to search and experience authentic local eats.Local cuisine in the country is booming as food becomes the focus of people when planning their destinations and itineraries around the Philippines. · Healthy Meals. Due to the access and affordability of healthy ingredients, Filipinos are quickly embracing the trend of healthy eating. Expect to see an increase in the number of healthy items on regular menus and the rise in the number of special diet deliveries to make a hit this year. · Home-cooked Meals. Diners and chefs go back to simple comfort food and home-style cooking as people try their hand this year at recreating restaurant-inspired food at their very own homes. This continues to grow with the Filipinos’ preference to eat better and healthier. This year,classic ingredients are brought to a new light. Matcha, for example, is now preferred by chefs due to its original bitter flavorversus green tea. Srirachafinds a new purposeby making it more useful for various sauces and condiments due to its sweet and sour flavors. Pork appreciation expands as more parts are used for dishes,such as crispy cheeks and fried ears. Plus, there is an increasing preference over anything rustic and healthy, with the likes of vegetables and fruits, whichare now used often to add color and flavor. As craft ingredients also take share the spotlight, restaurant menus are now more deliberate in exciting customers with creative descriptions and adding more texture claims like rich, crunchy, soft, chewy, and crisp, commanding a more premium price on these dishes. Chefs and business owners need to ensure that their social presence is not ignored,capitalizing on one of the millennials’ main behavior: being explorative and tech-savvy more than ever. These millennials are now empowered “prosumers,” short for professional consumers, who are now more informed and discerning because of today’s technology. Given that we have a more affluent younger generation today, this leaves an opportunity for restaurateurs and business owners to devise more innovative and creative ways to make their diners’ dining experiences shareable online. “We envision diners getting more involved with their food experiences as they are now sharing new food and restaurant discoveries online. They are now more conscious of their food and demanding for more authentic food and savory flavors,” concludes Limoanco-Gendrano. “The Philippine food service industry scene is moving fast and and we envision to absolutely ride along on its rapid wave to serve Filipino food professionals.” Following this track, Unilever Food Solutions continues to help food business owners and operators with the knowledge, skills, and products to grow and keep their customer base. 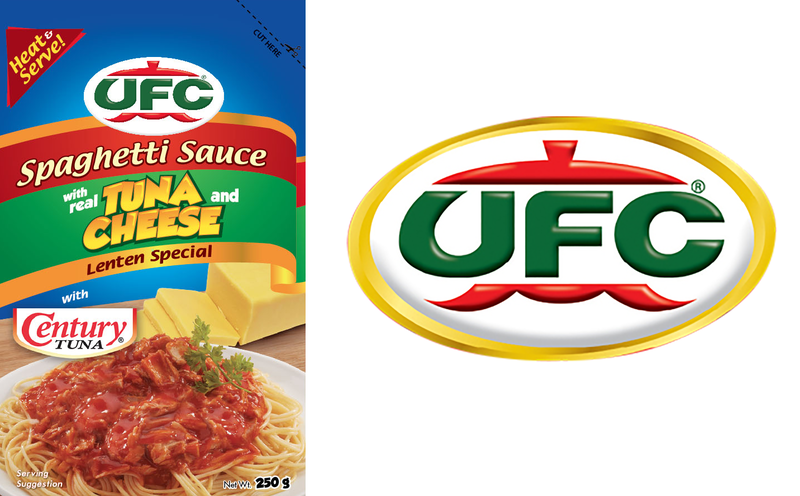 For more information about how Unilever Food Solutions can help grow your food business, visit www.UFS.com. Game of Thrones Season 5 Returns on HBO on April 13. The much awaited return of Game of Thrones on the HBO series this April 13 airs the same time as the US! Yes. HBO Asia is bringing us closer to the action as they aire the same time, not only that, they are also brining the iconic Iron Throne to Manila for the first time! 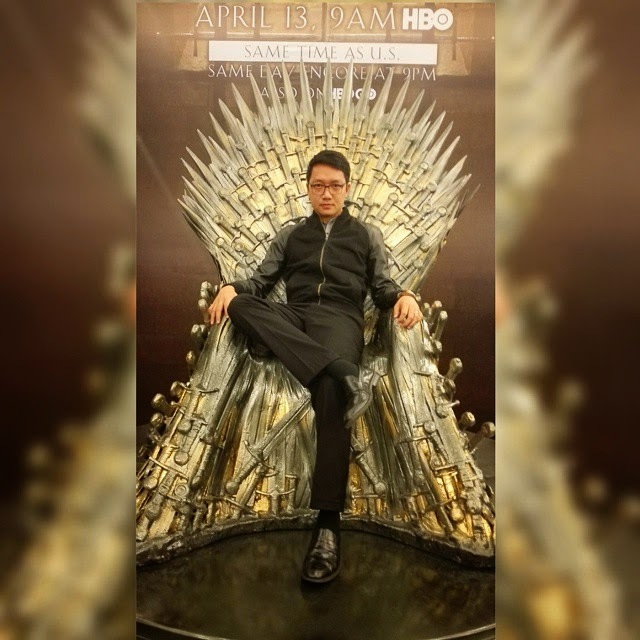 Last April 8, along with other members of the media and fans of the series, we were able to watcg an exclusive advance screening of the much awaited episode of season 5 of Game of Thrones. We were the first in asia to watch the new episode of GOT days ahead of its worldwide broadcast. Check out their official TVC below. Robinsons Rewards Card gives Fuel Discounts and Shopping Savings! 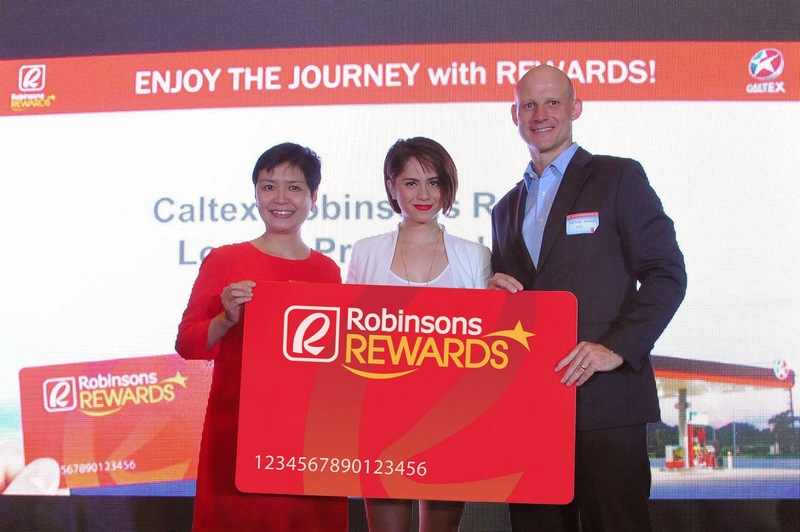 Manila, Philippines, March 26, 2014 –Robinsons Rewards Card (RRC) members will enjoy earning more points not only when they shop at their favorite Robinsons stores but also when they fuel up at Caltex. RRC members can now use their points to redeem P1 discount for every one liter fuel purchase at participating Caltex stations nationwide. Every five liter gas up earns a point which means that the more customers fuel up at Caltex and shop at Robinsons, the more points for fuel and shopping savings. It’s not uncommon for Filipinos to encounter challenges as we go through work and study every day. And while a little glitch here and there can make us sad or grumpy, it’s nothing that a mood boost from our favorite peoplecan’t fix. 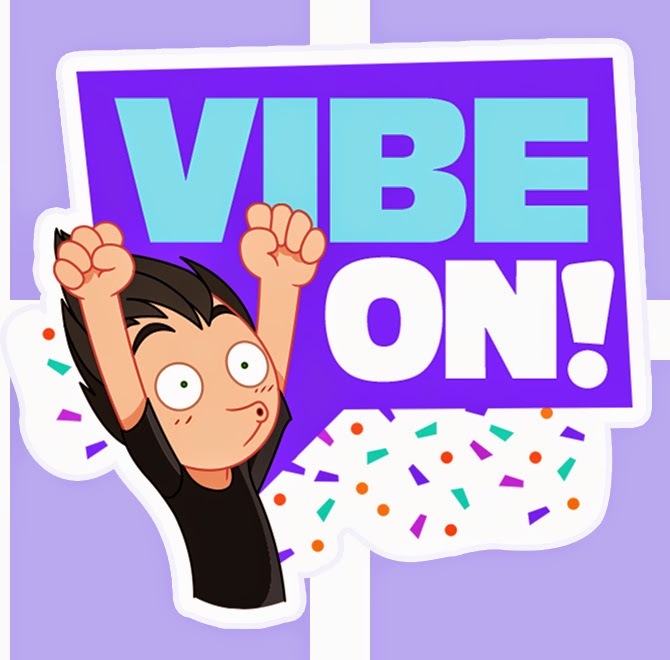 Viber,the country’s leading mobile messaging app, advocates the spread of uplifting messages to counter everyday setbacks with its new#VibeOn campaign which invites users to turn challenges into good vibes through the Vibe On! Sticker Pack.